Traders Update: Is this a Bubble? The market keeps holding on to these levels and people are asking me if I believe this is a stock market bubble. My simple answer is yes. As I have mentioned in many posts, I get my information directly from the sources rather than letting someone in the media spin the information. I go to the Federal Reserve, The Department of Labor, or the IMF websites for example. 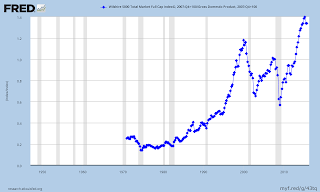 To answer this question today I will leave you with 1 chart from the Federal Reserve website and let you decide. 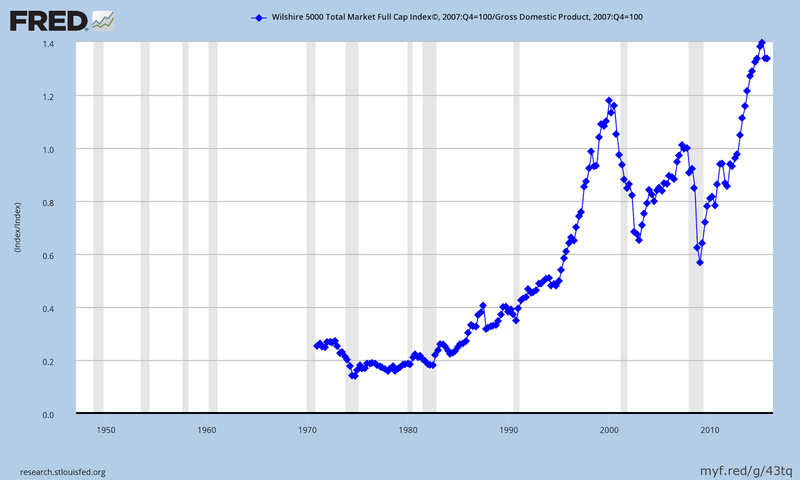 It shows the ratio of the Market Cap of the Wilshire 5000(one of the broadest stock market indexes) compared to GDP. Currently running at over 130% of GDP.